It is hard to confirm which single product has been manufactured the most in human history, but the ubiquitous Bic Cristal pen, with over ONE HUNDRED BILLION made since 1950, but be up there. After that, we may then be looking at food and drink items, and components of bigger pieces, like bolts, nuts and screws. Like television, the ballpoint pen is the culmination of the work of many people. The wonderfully-named John J. Loud first patented such a pen in 1888, but that patent expired through lack of interest. However, the Hungarian inventor László Bíró. with his chemist brother György, are credited with inventing the “biro” because they overcame problems others found with keeping the writing ball in place. Instead of just trying to fix it in position, they coupled it with the viscosity of the ink – with the right consistency, the ink can continue to flow without drying around the ball, and without leaking. The Biros’ invention, and the Second World War, took them to Argentina in 1941, where the first “Birome” pens were made in 1943. However, of all the companies to make ballpoint pens under licence from the Biros, only one was successful enough to buy the patent from them, and that was Société Bic, based in the town of Chichy, just outside of Paris. 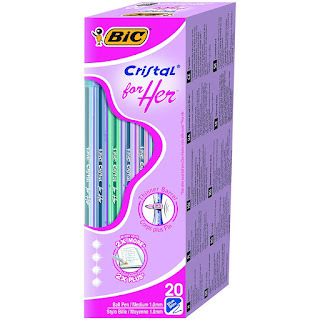 Already makers of parts for writing instruments, and well before they started making disposable lighters and razors, the Bic Cristal pen, originally known as the “atomic” pen, appeared as deceptively simple as the original 1948 Citroën 2CV, while using the same thorough, forward thinking in its design. Firstly, the hexagonal barrel of the pen makes it as easy to grip as a pencil. Making both the barrel and inkwell from see-through plastic made it cheap, while providing a rarely-seen, for the time, guide to how much ink is left. The hole found half-way down the barrel ensures the air pressure inside the barrel is the same as the outside, while the stainless-steel writing ball, held within a tip made from a brass / nickel compound, was milled to a diameter of one millimetre, with an accuracy of one hundredth of a millimetre. This formula has only changed a couple of times – as of 1961, the writing ball was made of a harder-wearing tungsten carbide, used in Parker’s Jotter pens since 1954, and the top of the cap was cut off in 1991, in case anyone chewing the end of their pen accidentally swallowed it. The success of the Cristal was sealed by the time it went on sale in the United States in 1959, with Bic having bought the Waterman pen company the year before. 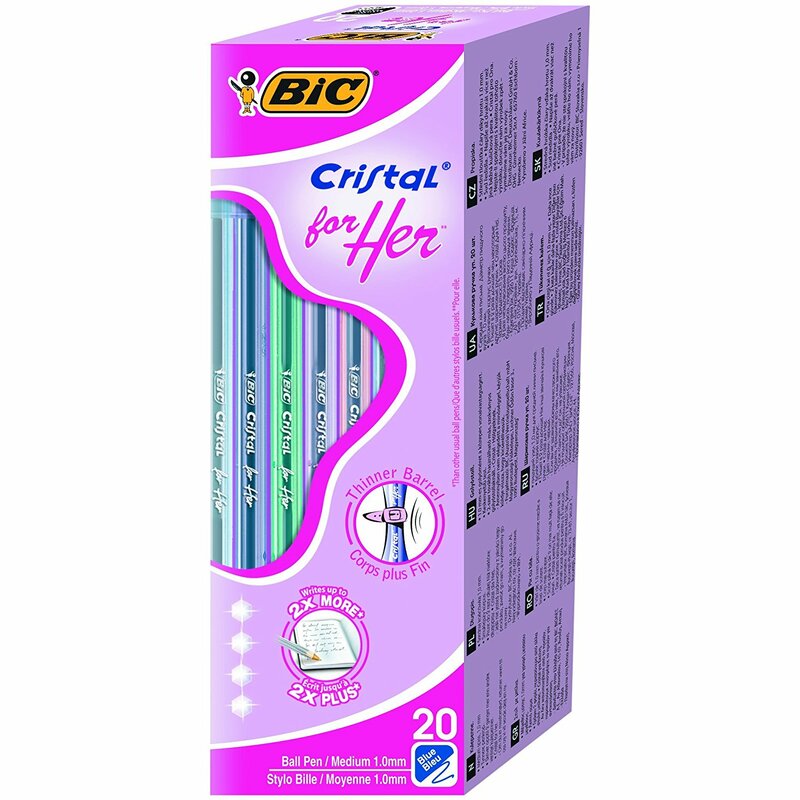 Bic were able to offer a pen for 29 cents, when Parker were offering the Jotter for two dollars, with refills still costing more than an entire Cristal. It was Bic that introduced the idea that pens could be disposable, with ends broken off, or chewed out of all recognition, or used to clean out people’s ears, or just thrown away. 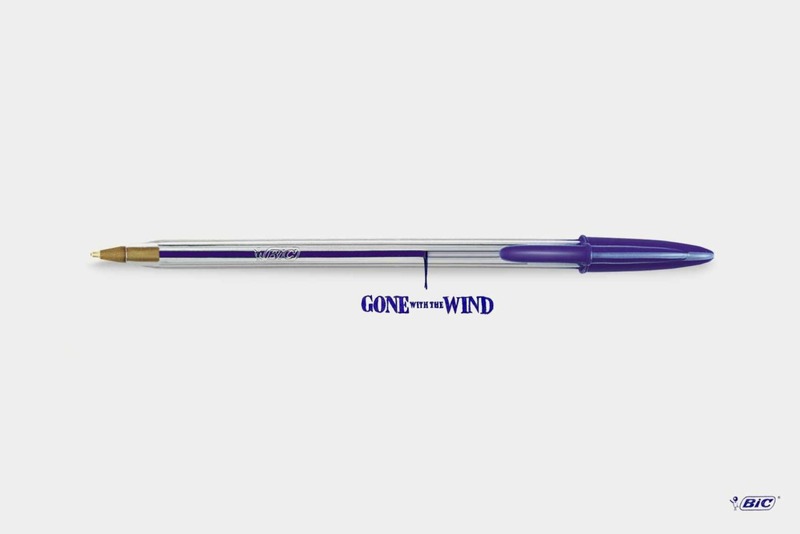 The joke that no Bic pen has ever been “finished” was used in a 2015 promotion, with Bic giving £10 to customers that could send an (untampered) empty pen. Mind you, no-one dares speak of the tone-deaf “Bic For Her” much now, but I can’t say anything that wasn’t said better by Bridget Christie.